Successful Search Engine Optimization is closely tied to the quality of the keywords that you choose to optimize. 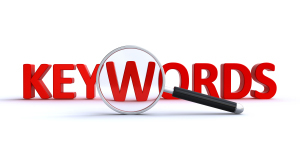 The search for these keywords is critical. The keywords are terms or sentences that your prospects will type in their browsers to search for your products or services. These searches are the first steps that companies providing SEO services in Long Island should include in their SEO packages. Understand your target audience – Your first step should be to identify who your potential clients are and what they are looking for. The language they are using to search for your product may be different than what you would expect. Do research and find what terms and keywords you audience may use to find your products or services. Checkout your competition– When looking for specific keywords, you should also consider looking at your competition. You are not the only one optimizing your site and there are a lot of tools out there that will allow you to better understand what keywords the competitors are going after and their online ranking. Go Local– When looking for keywords you may want to start thinking locally . You may get better results and lead conversions promoting your business in your own backyard. Use the keywords you want to optimize and add your targeted location (town, county, state). For example instead of web design Services optimize for web design services Long Island. Keywords tools – There are a lot of sites that can help you find out the right keyword phrases and terms. Find out how many times a specific term is searched. Google Webmaster is a good tool to use to identify what your prospects may be looking for. Website content – After your keyword research is completed and chosen keywords are selected, they will need to be carefully included in the content of your site. Remember, content will need to be relevant. Bad quality and irrelevant content will be tagged by Google and negatively effect your ranking. ← Which social media platform is good for you? Which social media platform is good for you? Where are your customers hiding? Choose the right marketing strategy.